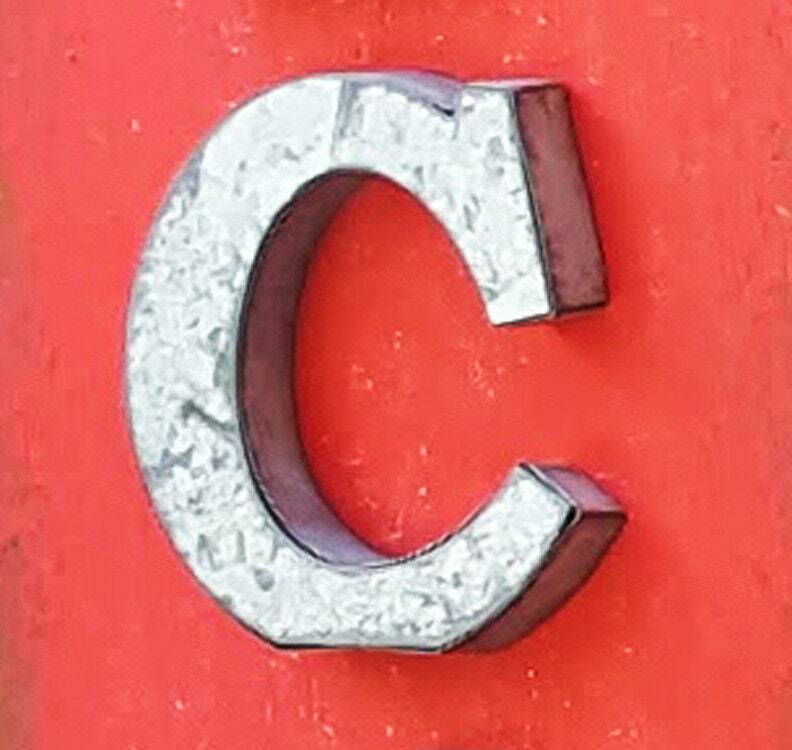 The letters have a nice rustic galvanized finish. If you prefer to have your LETTERS PAINTED, please tell us which color in the Order Notes when checking out. PREFER A DIFFERENT WORD? No problem! If you prefer a different word, specify your word in the order notes at CHECK-OUT, up to 6 letters. We off the ampersand and hash tag as well! 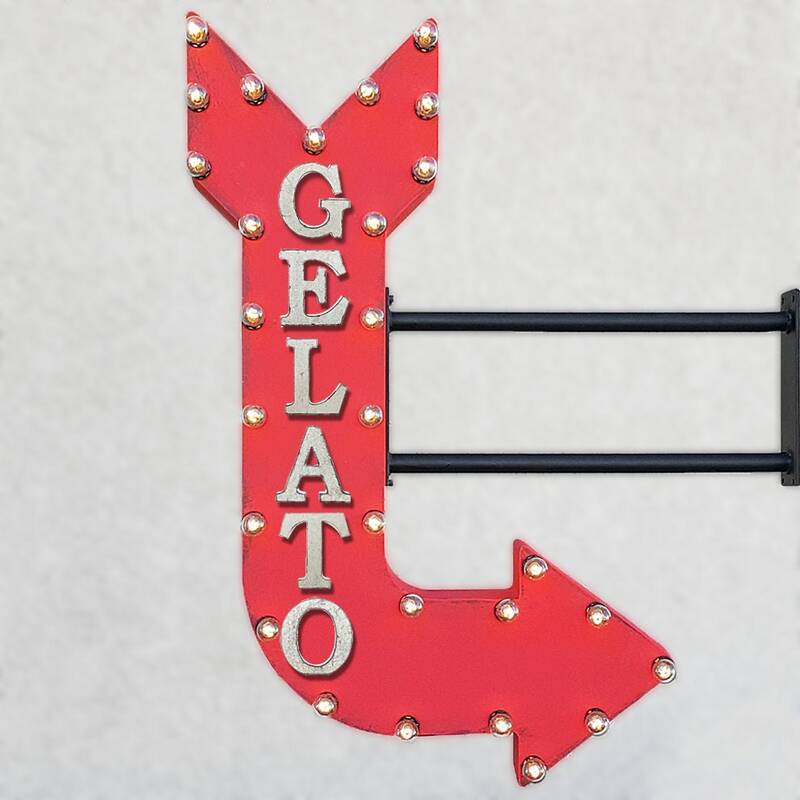 We offer a LARGER 48" ARROW as well, to accommodate LONGER WORDS! 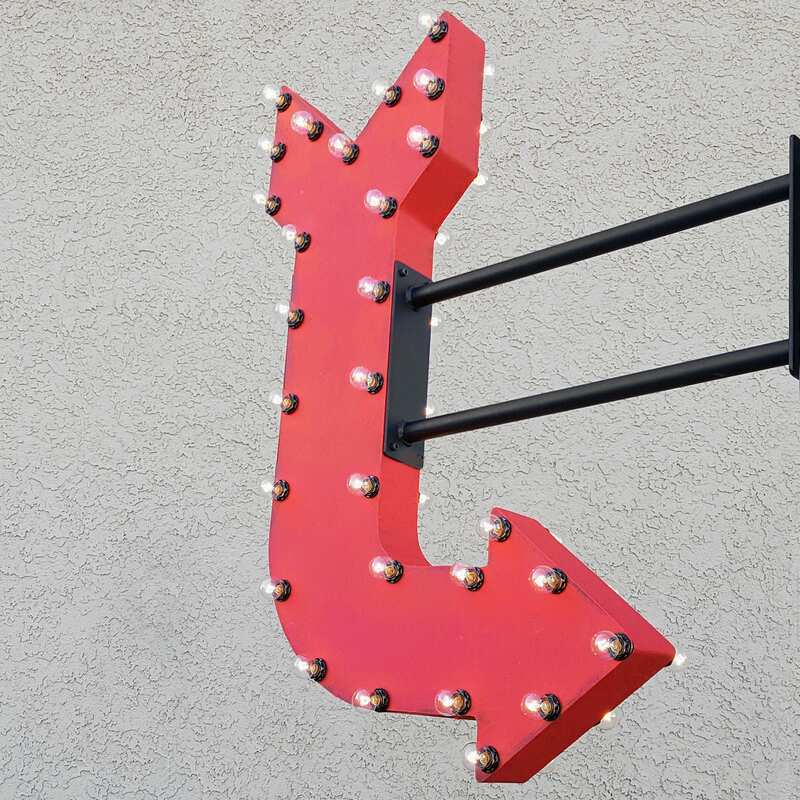 OUR SIGNS: Our signs are made from sturdy sheet metal, welded for long lasting stability! Good for both INDOOR & OUTDOOR use! OUR LETTERS: 3 3/4" tall x 5/8" deep. Galvanized metal. Held on with multiple heavy duty industrial strength magnets that are inset and hidden inside the back of each letter. 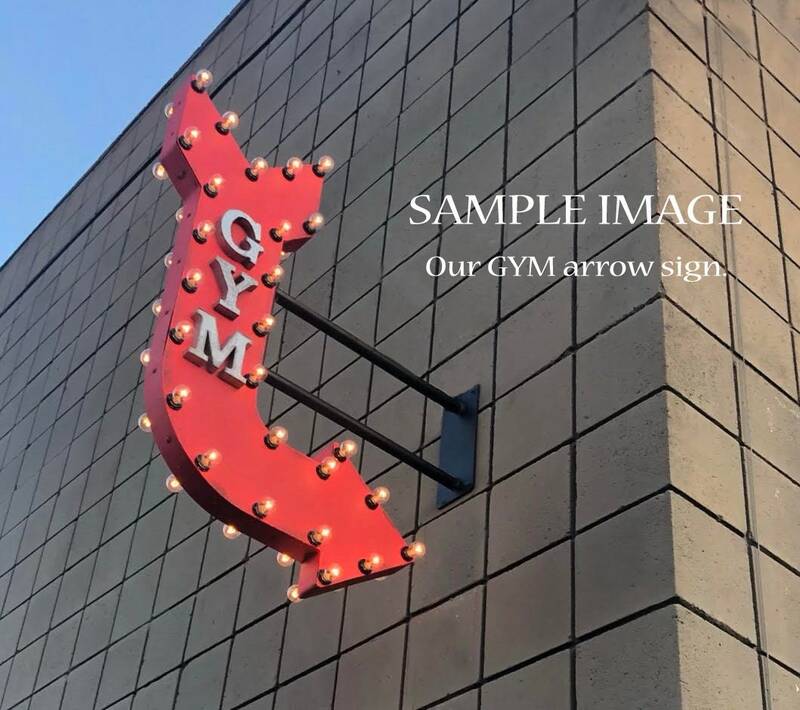 OUR FINISH: Our metal signs are artistically hand painted with our own custom made indoor/outdoor chalk paint to resemble the look of a rustic sun faded vintage marquee sign from a nostalgic era! OUR BULBS: Our clear glass bulbs have the vintage style Edison glow, we offer replacements as well as colors! Each bulb is 5 watts, we include 10 additional spare bulbs with each arrow. HOW TO MOUNT? 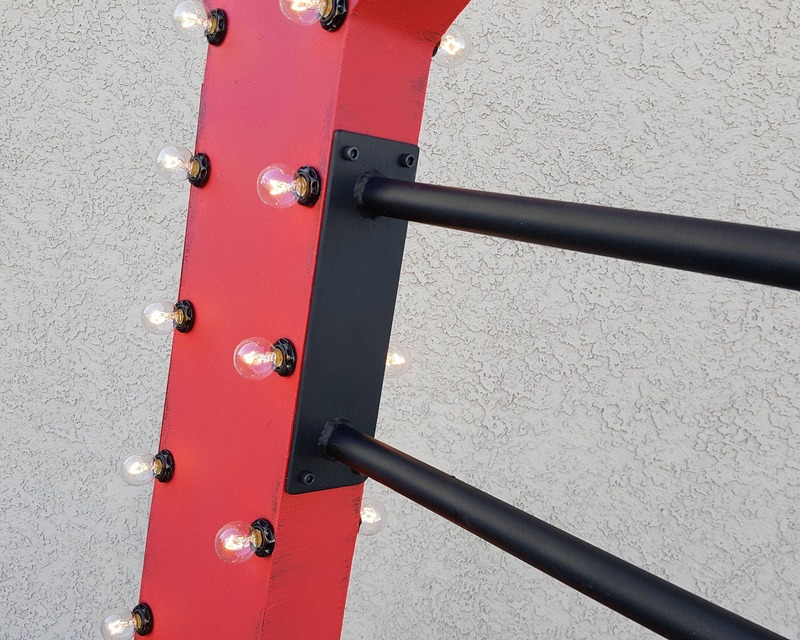 Our mounting bracket consists of heavy gauge steel, painted matte black! Two 1" steel poles with a steel plate on each end with 4 holes, to bolt the sign to the wall and to the arrow. WHAT ABOUT THE CORD? Cord is hidden, travels through one of the metal rods You may plug this in OR have a professional hard wire it. All lamps and fixtures are made with UL listed or approved components. However, the combined fixture itself is not UL listed. we advise checking with a licensed electrician or contractor before ordering and installation. These are incandescent bulbs, like all incandescent bulbs, they can get hot. Follow all standard safety precautions as you should/would with any electrical lamp. 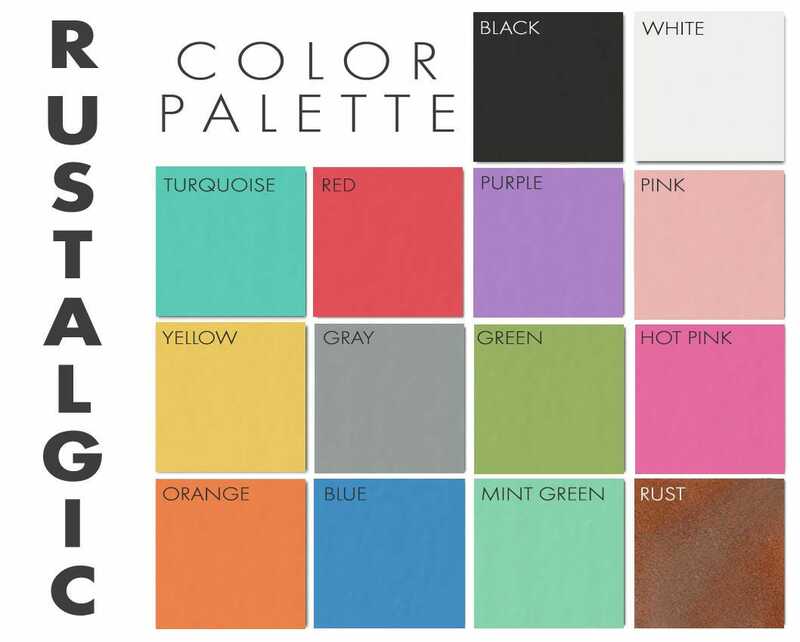 Rustalgic is not liable for any damages caused by the use or misuse of these products.